From left: Sisters Ernestine Agnes "Tina" Cooke (b. 1939), Belen Cooke (b. 1950) and Susan Cooke (b. 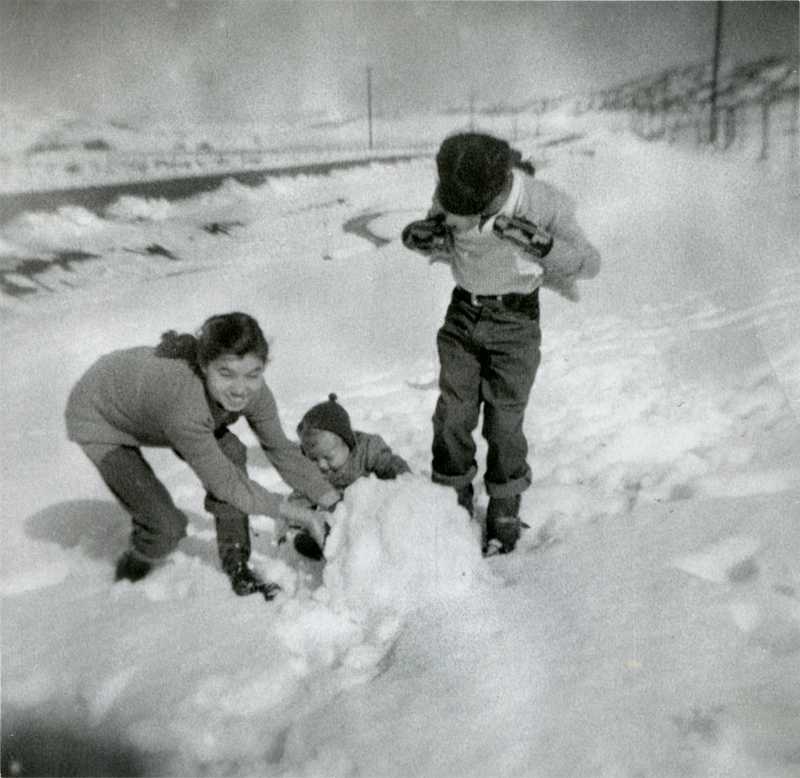 1945) play in the snow on the Ridge Route, Winter 1951-1952. Daughters of Ernest "Ernie" Cooke (1919-1982) and Edna Louise Balsz (1922-2004). On their father's side, the girls (generation 10 in timeline) trace their heritage to individuals who lived at Chaguayabit village (Castaic Junction) prior to European contact in 1769. Their mother's parents were Bertolo "Bert" Balsz, who was of German-Jewish and Chilean ancestry, and who settled in the Honby area of Saugus in the early 1930s with his wife Minnie, a full Chiricahua Apache. LT5201: 19200 dpi jpeg from 3x3-inch glossy print courtesy of Tina Cooke.